The two blocks have identical functionality, but different default settings. 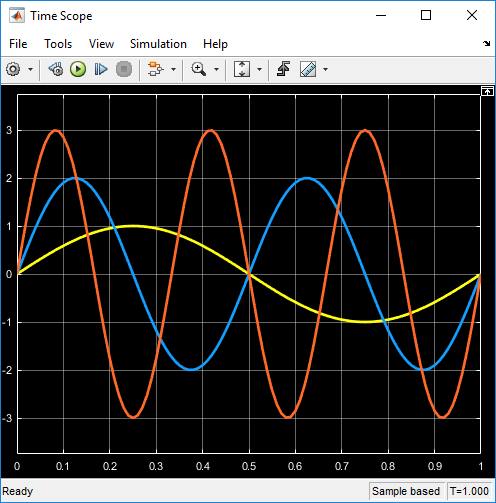 The Time Scope is optimized for discrete time processing. 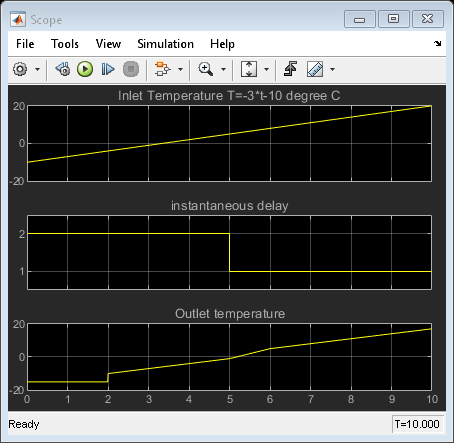 The Scope is optimized for general time-domain simulation. 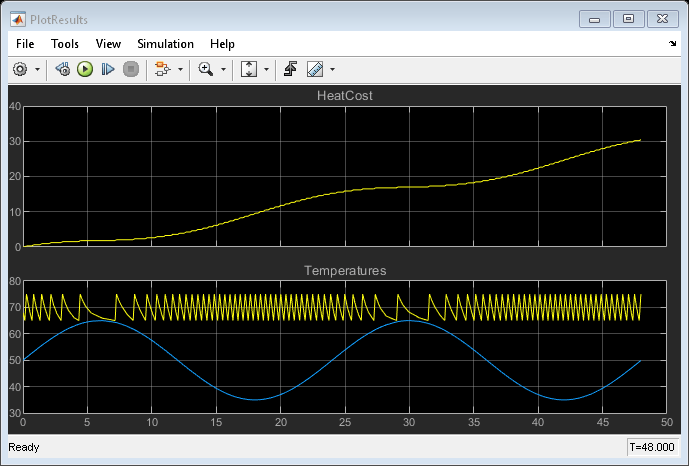 For a side-by-side comparison, see Simulink Scope Versus DSP System Toolbox Time Scope. For information on controlling a scope programmatically, see Control Scope Blocks Programmatically. 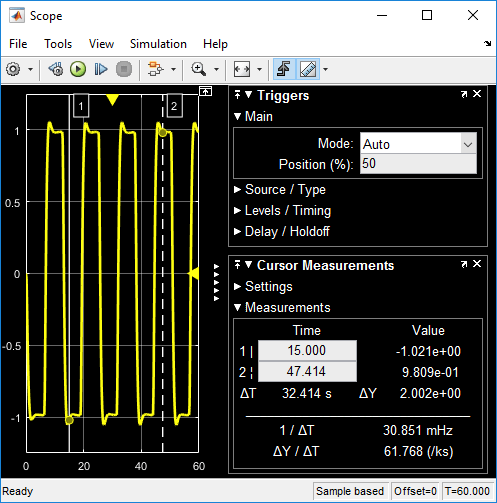 For an example of saving signals to the MATLAB Workspace using a Scope block, see Save Simulation Data Using Floating Scope Block. 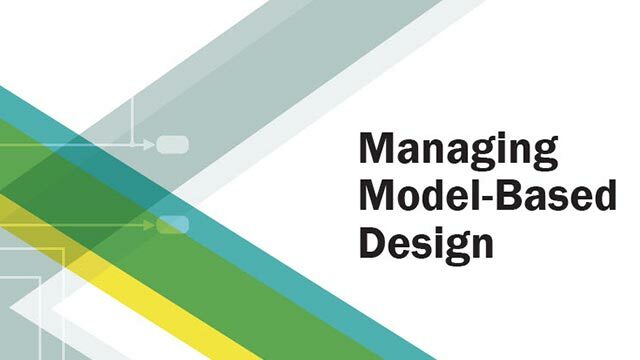 Auto — Scale the y-axis range during and after simulation. Selecting this option displays the Do not allow Y-axis limits to shrink Do not allow Y-axis limits to shrink check box. If you want the y-axis range to increase and decrease with the maximum value of a signal, set Axes scaling to Auto and clear the Do not allow Y-axis limits to shrink check box. After N Updates — Scale y-axis after the number of time steps specified in the Number of updates Number of updates text box (10 by default). Scaling occurs only once during each run. To use this property, set Axes scaling Axes scaling to Auto. To use this property, set Axes scaling Axes scaling to After N Updates.